PlayStation Knack fans will be pleased to know that a sequel has now been officially confirmed at E3 2017 and will be launching on September 5th, 2017. An obligatory new trailer and screenshots have also been released this week providing you with a first look at what you can expect from the sequel which builds on the gameplay from the original with improved platforming & puzzles, combat mechanics, co-op abilities and more, say its developers. 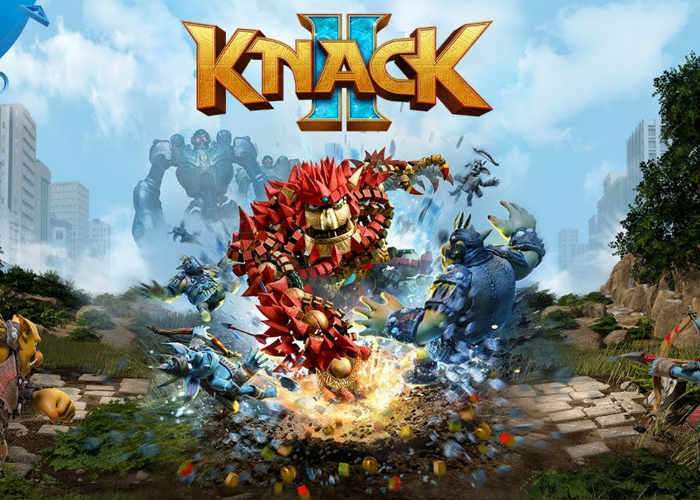 As part of the overall evolution, Knack has a greatly expanded move set and as a result, combat has become much deeper. He can transform a number of his parts into a shield, which is helpful when facing a half-dozen opponents at once – and if Knack puts up the shield with the right timing, he can parry arrows and other attacks right back at whoever fired them! Knack can also throw parts like a boomerang and stun enemies… and he can stretch out an arm twenty feet, grab his foes and pull them into range, at which point he can use a variety of kicks and punches, or a body slam to take them out.